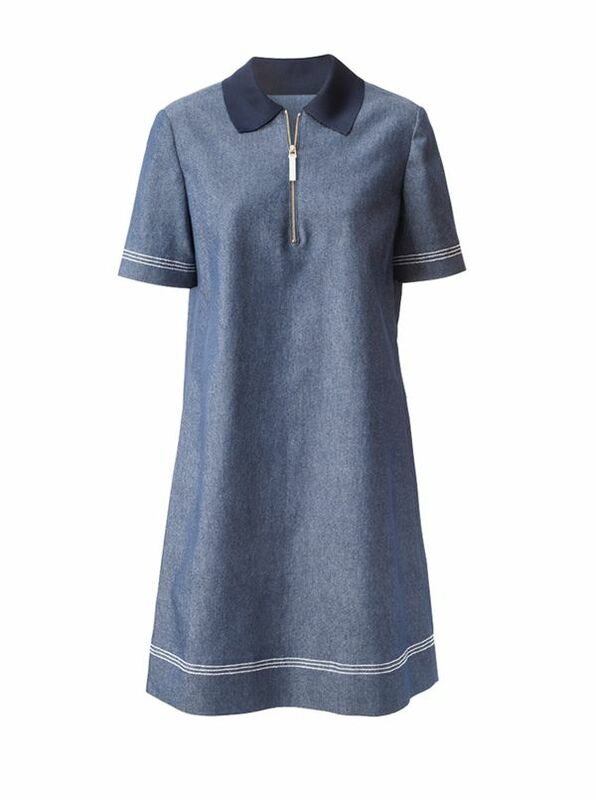 Denim Zip Polo Dress by Piazza Sempione is casual made luxe. Tailored in Italy with knit collar, zip neck, embroidered trim at cuffs and hem. 62% cotton/34% poly/4% Elastane.